If you are an Omaha native like me, then I am sure you agree our shared hometown boasts many leading lights of merit. In arts-entertainment, fellow Omaha native Alexander Payne is at the top of his profession. The two-time Oscar winner’s craftsmanship makes him one of the Hollywood film industry’s most acclaimed and sought after professionals. His reputation as a writer-director extends worldwide. As Nebraska celebrates 150 years, Payne represents the best this state has to offer in terms of talent, output, loyalty and work ethic. I am privileged to be the author of a book – “Alexander Payne: His Journey in Film” – that takes the full measure of the man and his work. My comprehensive look at his career is newly released in an expanded second edition. I am happy to say that “Alexander Payne: His Journey in Film” has many champions. 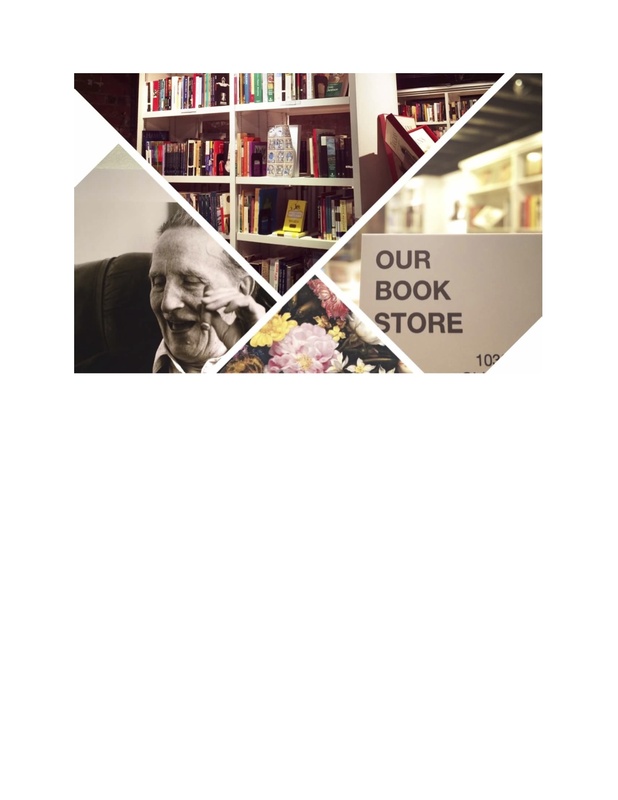 The publisher is River Junction Press LLC in Omaha and its distributor is Independent Publishers Group (IPG). The book is a available at Barnes & Noble and other fine bookstores nationwide, as well as on Amazon and for Kindle. In Nebraska, you can find it at all Barnes & Noble stores as well as at The Bookworm and Our Bookstore in Omaha, Indigo Bridge Books in Lincoln and in select gift shops statewide. You can order signed copies by emailing your request to leo32158@cox,net. Just as it’s my pleasure to showcase one of Nebraska’s greatest natural resources in Alexander Payne, I hope it’s your pleasure to read about his journey in film. That journey is about to take a dramatic new turn with the December 2017 release of his long-awaited film “Downsizing” starring Matt Damon. Look for my new Reader story about it in the April 2017 issue. Author Leo Adam Biga is pleased to present the new edition of his acclaimed book “Alexander Payne: His Journey in Film”about one of cinema’s great artists (“”About Schmidt,” Sideways,” “The Descendants,” “Nebraska”). This second edition features expanded and enhanced content. This is the time to get the book, too, because it recaps the Oscar-winner’s last film “Nebraska” and anticipates his new film “Downsizing.” Once “Downsizing” opens, his career’s likely to reach even new heights. The book charts the Oscar-winning filmmaker’s rise to the elite ranks of his industry. It explores the arc of Payne’s career from brash new indie filmmaker to mature, consummate world cinema artist. Articles and essays take you deep inside the artist’s creative process. It is the most comprehensive look at Payne and his work to be found anywhere. This new edition includes significant new material related to “Nebraska” and “Downsizing” and the addition of a Discussion Guide with Index for all you film buffs, critics, filmmakers, educators and students. The book is also a great resource for more casual film fans who want a handy Payne primer and trivia goldmine. 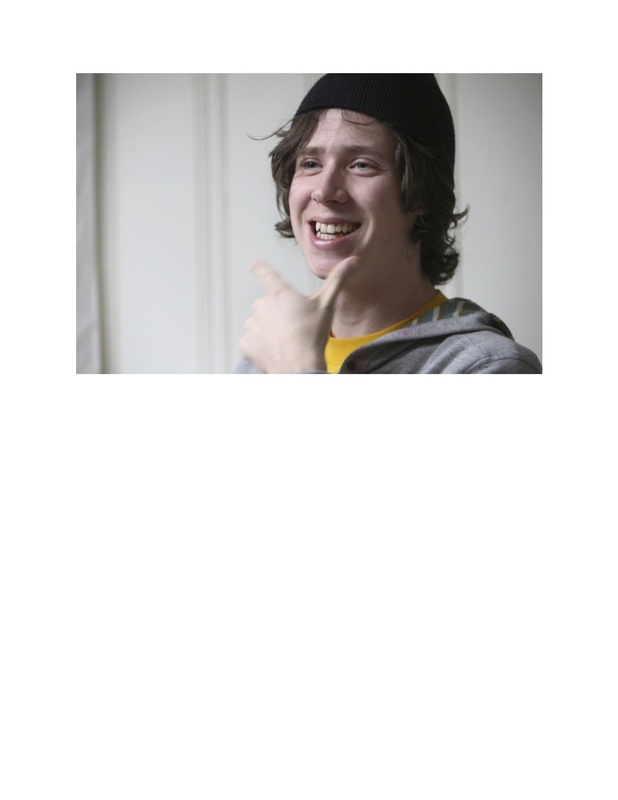 Biga’s book explores the arc of Payne’s career from brash new indie filmmaker to mature, consummate world cinema artist. The new edition is from River Junction Press in Omaha, NE and sells for $25.95. The book is a available at Barnes & Noble and other fine booktores nationwide, as well as on Amazon and for Kindle. In Nebraska, you can find it at all Barnes & Noble stores, The Bookworm and Our Bookstore in Omaha, Indigo Bridge Books in Lincoln and in select gift shops statewide. You can also order signed copies through the author’s blog leoadambiga.com or via www.facebook.com/LeoAdamBiga or by emailing the author at leo32158@cox,net. You can also call 402-445-4666. Purchase your signed copy of “Alexander Payne: His Journey in Film” directly from me. I know several of you planned on attending my book events and talks last fall, and so if you’re still without your signed copy of edition number two, then contact me directly here, through a Facebook inbox, by email at leo32158@cox.net or by calling 402-445-4666. I will be happy to put one in your hands. If you’re out of town, I’ll be glad to ship one to you. Also available via Amazon, Barnes & Noble, The Bookworm, Our Bookstore and select other booksellers and gift shops. Many thanks to the fine folks at Kiwanis Club of Omaha for having me speak at their weekly meeting today at UNO’s Scott Conference Center. I presented on Alexander Payne and even sold 7 or 8 copies of the new edition of my book “Alexander Payne: His Journey in Film”. Though the number of regular club members present was relatively small, there were some special guests on hand whose presence helped make the event a nearly full house. Those guests included an award-winning Swedish journalist covering the U.S. presidential election and a large group of students from various southeast Asia countries. Thanks to John Wehrle for inviting me to present and to Andy Bradley for introducing me. What a nice bunch of people they and their fellow Kiwianians are and what good work they do. Hosts a weekly meeting every Friday at the Scott Conference Center, 6450 Pine Street at 11:45 a.m.. There is always a speaker with a relevant topic of happenings in the community or in the nation. The Club is proud to have welcomed Tom Osborne, Nebraska Governors and Lt. Governors, K.C. Federal Reserve President Esther George, as well as many local CEOs and presidents. Look for announcements in the near future about new Alexander Payne book events I will be having at The Bookworm, Indigo Bridge Books in Lincoln, the two Barnes & Noble stores in Omaha and Our Bookstore in the Old Market’s Passageway. Hope to see you at one of these. If you would like to book me to speak to your group, organization or club about Alexander Payne and the book, contact me at leo32158@cox.net or 402-445-4666 or Inbox me on Facebook. I have other topics areas I present on as well, including Nebraska’s Screen Heritage and Omaha’s Black Sports Legends. Anyone up for hosting a private Alexander Payne book event at their home? If so, then contact me at the above email or phone number or Facebook me. 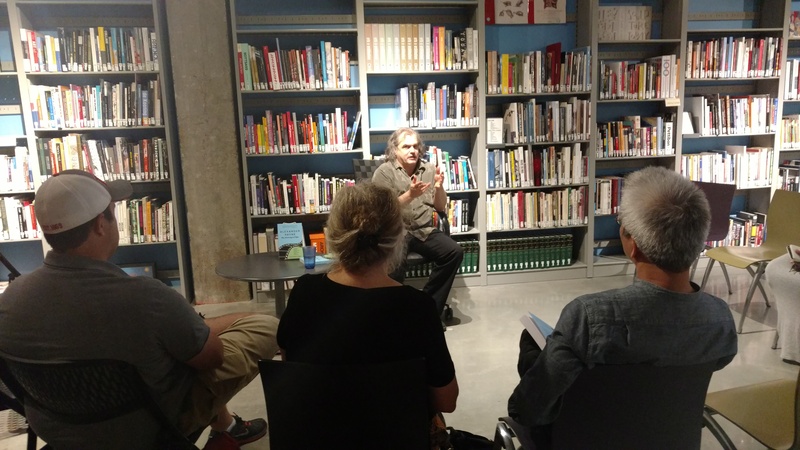 Thanks to those who came to my Sept. 21 book talk-signing at the KANEKO-UNO Creativity Library for “Alexander Payne: His Journey in Film.” It was a cozy, intimate evening. Wish more of you from social media land and from Nebraska’s film community made it out. Hope you attend one of my upcoming fall events. We plan to do a weekday, lunchtime talk-signing at the same venue in coming weeks. Watch for details. And look for announcements about additional talks-signings I will be doing at The Bookworm, the Oakview Barnes & Noble and other sites. Special thanks to KANEKO-UNO Creativity Library Manager Melinda Kozel for hosting last night’s event and for snapping photos of it. Available via Amazon, Barnes & Noble, Kindle, select bookstores and gift shops. You can also order it from me via my blog leoadambiga.com, inboxing me on Facebook, emailing me at leo32158@cox.net or calling me at 402-445-4666. This comprehensive primer on the Oscar-winning filmmaker’s work is current to his “Nebraska” and “Downsizing” projects and features a discussion guide and index. A perfect gift for yourself or the cinema lover in your life. 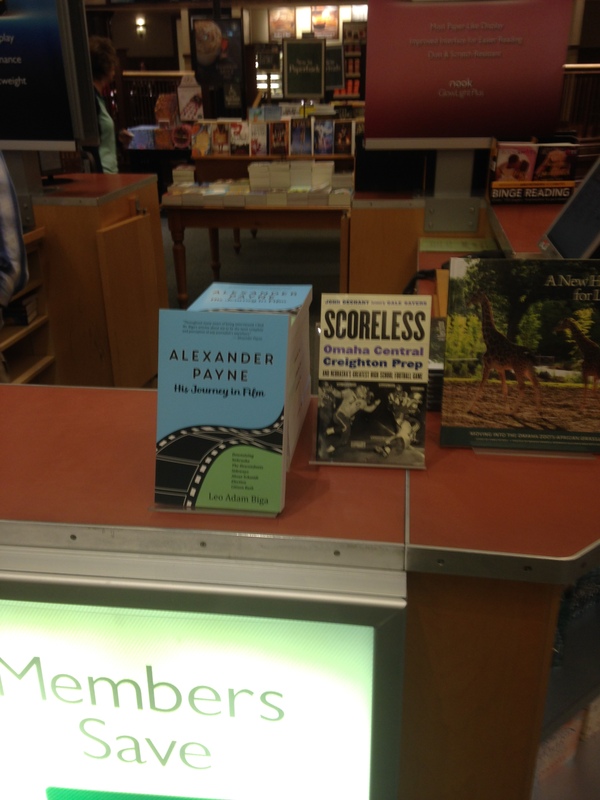 My Alexander Payne book is getting lots of love from the book guys and gals at the Oakview Barnes & Noble store in Omaha. They’ve kindly placed the book at the customer service counter for some prime store placement. 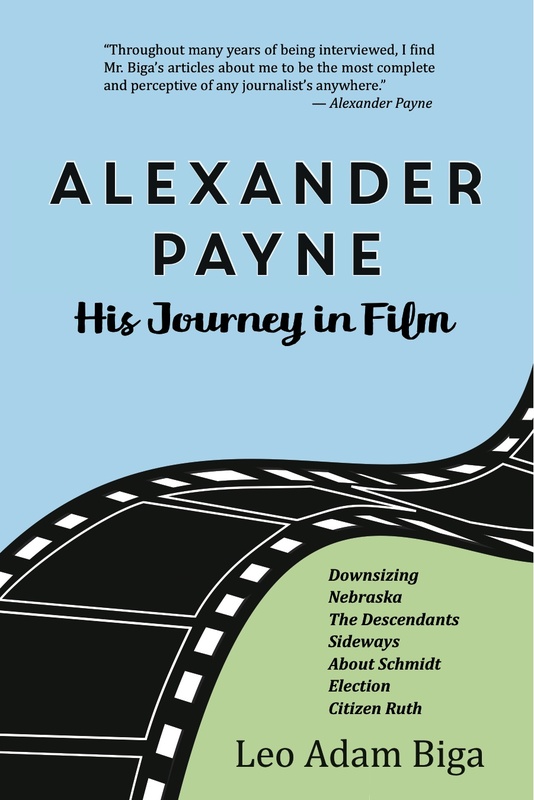 “Alexander Payne: His Journey in Film” makes a great gift for yourself or for anyone in your life who loves movies, pop culture and reading about the path this Nebraskan has taken to achieve world cinema acclaim. Look for an announcement about a book event I will be having at the Oakview Barnes & Noble later this fall. And look for announcements about more events around town where you can hear me talk about Payne, ask me questions and purchase the book. I will be very happy to sign your copy. 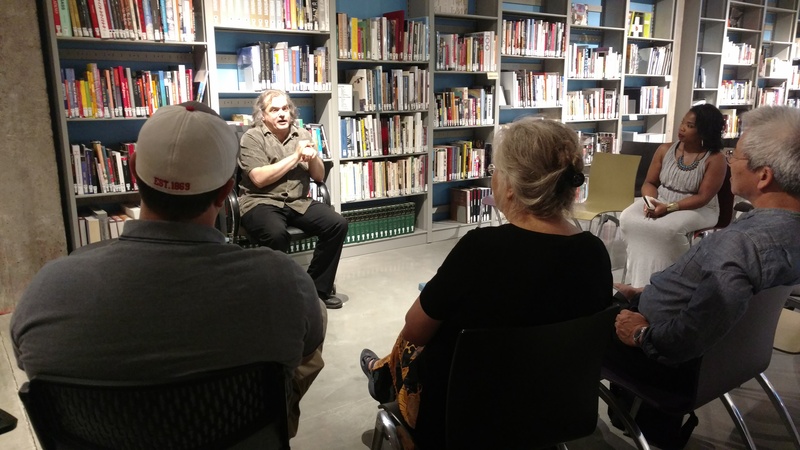 I hope you can make it to one of these events, including the one described in this post – a Wednesday, Sept. 21 book talk-signing at the KANEKO-UNO Creativity Library in Omaha’s Old Market. 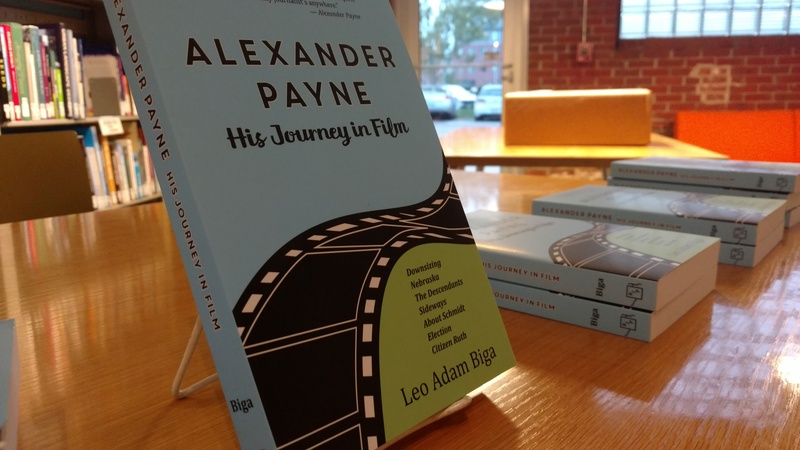 Come to this relaxed book talk and signing by your friendly neighborhood Alexander Payne expert, Leo Adam Biga, the author of “Alexander Payne: His Journey in Film.” My passion project and labor of love is a must-read for movie buffs and fans. I will be selling and signing copies of the new edition before and after my 7 p.m. talk at the KANEKO-UNO Creativity Library, 12th and Jones Streets, in the Old Market, on Wednesday, September 21. The book sells for $25.95, plus tax. Available via Amazon, Barnes and Noble, Kindle and at select book stores and gift shops. My informal presentation will offer insights into the Oscar-winning writer-director’s creative process gleaned from 20 years of interviewing and covering the filmmaker. The book is a collection of my extensive journalism about Payne and his work. I will also take questions from the audience. As many of you know, I am an Omaha author-journalist-blogger who often writes about film. In 2012 I turned my in-depth reporting about the celebrated filmmaker from Omaha into “His Journey in Film.”It is the most comprehensive study of Payne’s cinema career and work anywhere. Its collection of articles and essays is based on interviews I conducted with Payne and with many of his key collaborators. The new edition is releasing this fall through River Junction Press in Omaha and features expanded and enhanced content, including a Discussion Guide with Index. It makes a great resource for film buffs, critics, filmmakers, educators and students as well as more casual film fans who want a handy Payne primer and trivia goldmine. The book is updated and current through Payne’s “Nebraska” and “Downsizing” projects. “Downsizing’s” (2017) epic, tragicomic tale tackles big ideas having to do with pressing world crises and universal human conflicts. The story’s imagined solution to ever depleted world resources is downsizing human beings to a fraction of normal size, thus decreasing mankind’s footprint on planet Earth. Only the reduction experience doesn’t quite go the way that Paul, the Everyman hero played by Matt Damon, envisioned. We go down the rabbit hole of this dark wonderland with Matt into a mind-blowing, soul-stirring, heart-breaking and ultimately inspiring odyssey that traverses everything from geo-political intrigue to classism and racism to human trafficking to love. The adventure immerses us into new worlds that may represent the new dawn of man. Payne and his collaborators have traveled the globe to make an ambitious film shooting in multiple countries and starring an international cast. It promises to be a cinematic experience filled with spectacle, pathos and satire, yet never losing touch with human intimacy. Every Payne film is about a physical, emotional, intellectual journey. The stakes for the journey Paul takes in “Downsizing” are high because, unbeknownst to Paul, humanity’s future rests on his actions. Payne and his film should get lots of attention when it releases next year. “His Journey in Film” takes you deep inside the creative process of this world cinema artist and follows the arc of his filmmaking journey over a 20-year span, when he went from brash indie newcomer to mature, consummate veteran. Along the way, he’s made a handful of the best reviewed American films of the past two decades and his movies have garnered many top honors at festivals and at the Independent Spirit Awards, the Golden Globes and the Academy Awards. This is a must-get book for Nebraskans who want to know how this native son has arrived at rarefied heights and in the company of legends. Nebraskans love the fact that through all of Payne’s remarkable success, he has remained rooted to this place. There is much more to come from him and much more to be said about his work. But for now “Alexander Payne: His Journey in Film” is the definitive word on his journey and output.